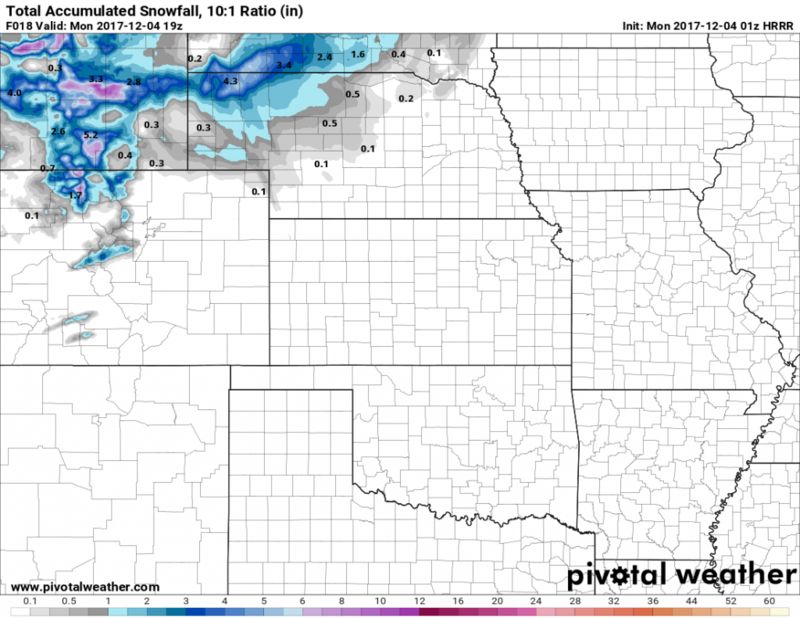 A new storm system has organized across the Western United States and its effects were beginning to establish across Colorado and the Palmer Divide on Sunday. 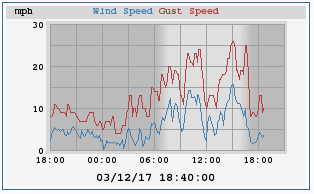 Winds measured at Mountain Wave WX on the Palmer Divide were strong today! Winds were quite gusty across the area on Sunday with high clouds streaming in over the area. The next storm system is digging a trof of low pressure across the Western U.S. and many places will feel the effects of this powerful storm system beginning tonight. The Western U.S. and Central plains have several winter weather alerts up ranging from Winter Weather Advisories to Winter Storm Warnings and even Blizzard warnings for North and South Dakota. Noticing the lack of highlights for Colorado with this storm? 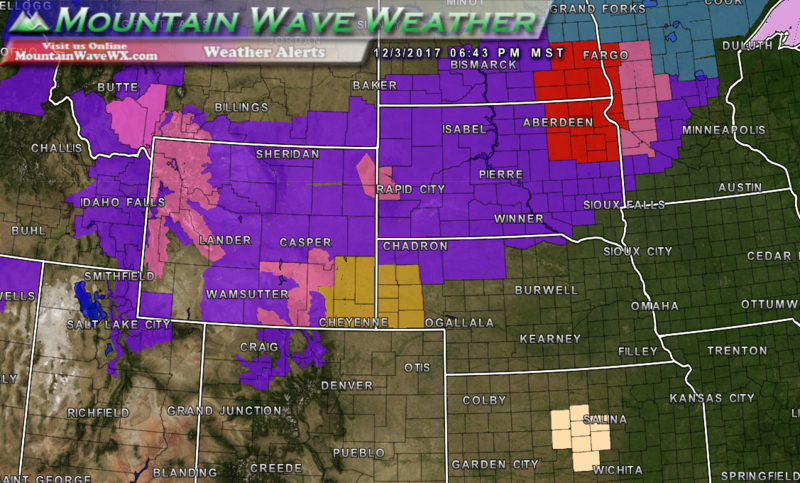 Only some of our mountain areas have any type of weather alert up and they are very few and far between. Will This Storm Be Different? As you may have gathered from the information above, we will see more of the same out of this storm. 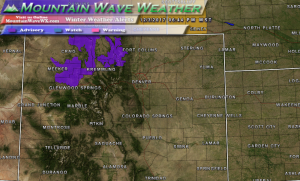 Expect strong winds, much colder temperatures and little to no snowfall for areas East of the Continental Divide. This just simply hasn’t been our year for snowfall/moisture and all indications are that we will continue to experience dry conditions for some time. You’ll notice with this storm just as the last, snow really has a difficult time making it across the divide. In all honesty, while the mountains will see snow their totals don’t look impressive either. Strong downsloping winds are agreed on across the models and so is a notable drying componente East of the divide. This storm is not pushing a ton of moisture into Colorado, but the mountains will catch and trap what little bit makes it into the state. The big news will be the shock of much cooler temperatures after our prolonged period of above average and record breaking warmth. We’ll keep an eye out for any interesting storms for the area, but as we see it now… the next 7-10 days show a cool but dry pattern. Sadly, the mountain ski areas are going to have a slow start as we are already into December and many areas are only at 50% of average on snowpack. We don’t see any large storms changing that anytime soon!